– Randomising questions in learn mode. – Night mode and full screen option while taking exam. – Bookmarking questions learn mode and exam mode. – Improved flash cards with support for images. The screen displays a Multiple Choice Multi Answer question type. Two modes are available, one is Learn Mode and the other is Exam Mode. The display pertains to Learn Mode and contains Question ID (unique to each question and used for providing feedback on the question), Flash Card, Exhibit (option), question and answers. 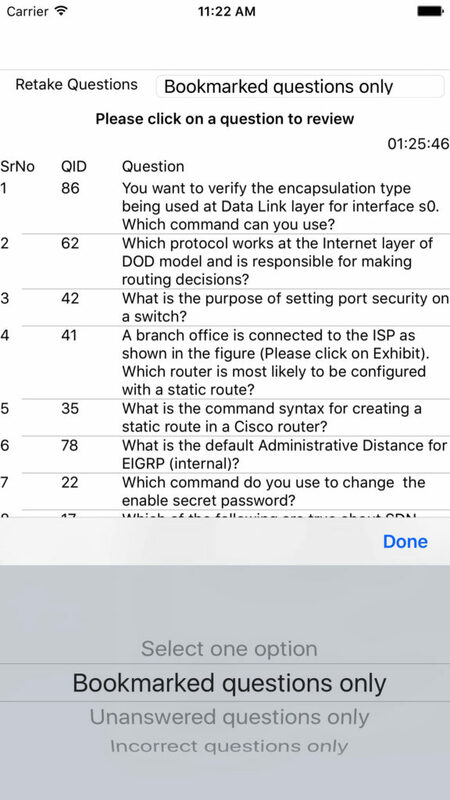 The navigation buttons include Show Answer, Notes (which you can enter for future review), Reset (resets the selected answers, Previous, Next, Review (We will see this screen later), and End Exam. The option Send Feedback provides a means to the candidate to seamlessly provide feedback to the author about the specific question without leaving the exam environment. Feedback, particularly about any errors in the question or flash card is considered immediately. Exam mode is very similar to Learn mode except for a fixed time timer, and the absence of a few options like Show Answer. The exhibit displays the Review screen of the exam questions. As may be seen, candidates have the option to review 1) Bookmarked questions only, 2) Incorrect questions only, 3) Un-answered questions only. These options allow us to review only intended questions and save time and effort in preparing for exam. The question ID is unique and needs to be quoted when reporting any inconsistency or mistake in any given question. We will see a few more such screenshots below. 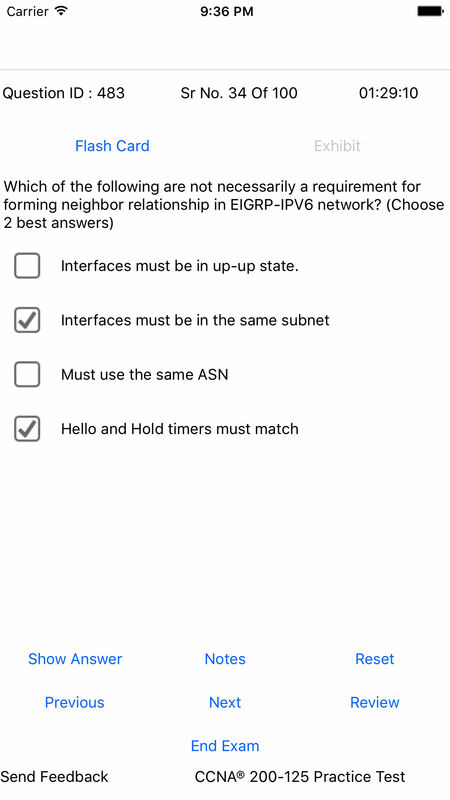 Review Question Screen: Given below is the question-answer screenshot in questions review mode. The display corresponds to a wrongly answered question. In this example, there are a total of 10 wrongly answered questions. 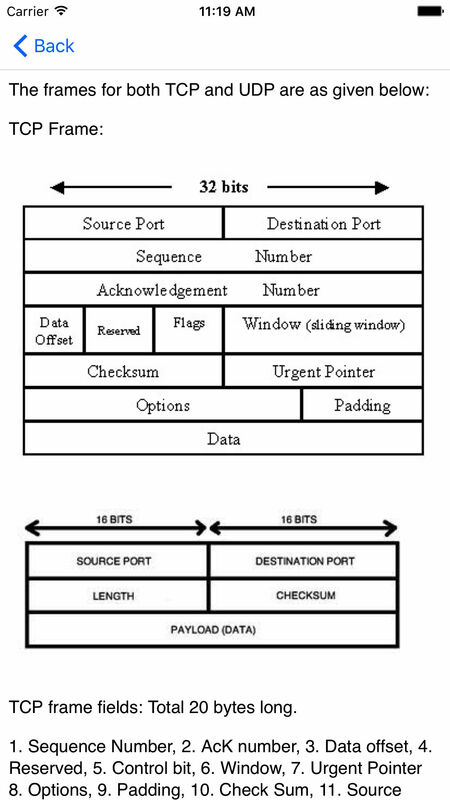 The displayed question ID i 510. If you click on the Explanation, a brief explanation is presented on the displayed question. Right answers are indicated by Green high-light and wrong answers by Red color. Other options in the Nav bar are as usual. This screen corresponds to the Flash card of Question ID 510. The flash cards provide detailed explanation of the answers as well as the topic concerned. There are several more apps available for CCNP, CCENT, Comptia A+, Juniper JNCIA, and others. Check them out at AnandSoft iTunes Apps Store.